Home riders from Canada were joined by athletes representing Australia, Great Britain, Ireland, Israel, New Zealand, and the United States for Wednesday’s power and speed event set by 2018 FEI World Equestrian Games (WEG) course designer Alan Wade of Ireland. U.S. riders went one-two when Tyree riding Bokai successfully completed the ‘power’ phase of the track before clearing the speed portion in 29.89 seconds, less than a second faster than runner-up McLain Ward on Contagious, owned by Beechwood Stables, LLC. A member of the reigning gold medal WEG team, Ward stopped the clock at 29.97 seconds from the fourth spot in the¬ 23-horse order. Karen Polle concluded Wednesday night’s competition at the Royal Horse Show with a win in the $36,000 Jolera International Jumper Welcome riding Little Lord 90. 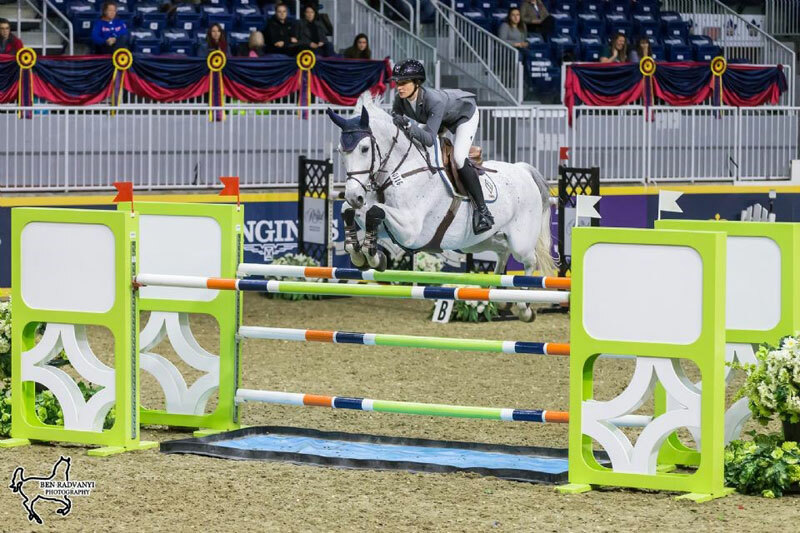 Polle, 26, and the 13-year-old Holsteiner gelding entered the Coca-Cola Coliseum as the 15th of 20 entries invited to navigate the Alan Wade designed speed track, and, despite a slight stumble after the fourth fence, they flew straight to the top of the leaderboard with a time of 57.45 seconds. Only fractions of a second separated all three of the top finishers, with another newcomer to the Royal Horse Show, Australia’s Rowan Willis, tripping the timers in 57.64 seconds riding Shark to take second, and Devin Ryan of the United States riding Cooper to the third-place finish in a time of 57.76 seconds. More than 1,000 horses from around the globe are competing for $980,000 in prize money during the 10-day CSI4*-W Royal Horse Show. VIP Platinum and Gold seating, as well as group and individual tickets, are selling quickly. All Royal Horse Show tickets include general admission to the Fair. Tickets are available HERE.